All prisoners, including those sentenced to life imprisonment, should have a prospect of release. Failure to provide for such a prospect by setting up a mechanism to review life sentences after a reasonable period amounts to inhuman and degrading treatment, which infringes the prohibition on such treatment in Article 3 of the European Convention on Human Rights. This was the essence of the decision on 9 July 2013 of the Grand Chamber of the European Court of Human Rights in the case of Vinter and others v United Kingdom. The decision has been heavily criticised in England. 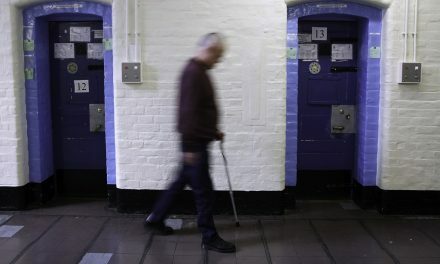 The European Court of Human Rights has been accused of paving the way for the release of the 49 English offenders who have been given so-called “whole life orders”, that is, told that they would never be released. This criticism misses the point of the carefully reasoned judgment of the Court, which went out of its way to explain that its effect would not be the imminent release of the applicants. All that it required is that there be a review after an appropriate time – a maximum period of twenty five years after sentence was suggested – to ensure that continued detention was justifiable. The wider value of the judgment lies in its reasoning. At its heart is the idea that recognition of the human dignity of all offenders requires that, no matter what they have done, they should be given the opportunity to rehabilitate themselves. Rehabilitation is not possible without the prospect of release. Prisoners need to be able to retain some hope for a better future. The decision has struck a powerful blow against all sentences that would deny such hope. The death penalty was such a sentence, but happily it has been outlawed in Europe for some time. Now sentences that condemn offenders to die in prison, even if they change for the better, are on their way out too. It is now up to organisations such as Penal Reform International to press for prisoners in all parts of the world to be given real opportunities to improve themselves. We also need to ensure that review of the necessity for continued detention of even the most reviled offenders is fair and impartial. Dirk van Zyl Smit is a member of the Board of PRI. He is Professor of Comparative and International Penal Law at the University of Nottingham and was a member of the legal team of the applicant in the Vinter case. See also this short video by Nicola Padfield who is a Reader in Criminal and Penal Justice at the University of Cambridge. The video provides interesting analysis of the case and implications in the UK and beyond. 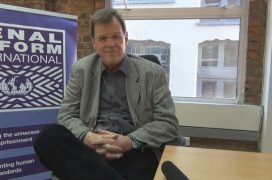 Interview with Dirk van Zyl Smit: Is life imprisonment without parole a cruel and unusual punishment?